The Rajya Sabha seat has many contenders. Raghuram Rajan. Credit: Press Information Bureau. Former Reserve Bank of India Governor Raghuram Rajan, who returned to his teaching career at the Chicago University after his three-year stint in India, has been offered a Rajya Sabha seat by Aam Aadmi Party. Aam Admi Party (AAP) was founded by Delhi Chief Minister Aravind Kejriwal. The party won the Delhi state election in 2015 and is entitled to three members in Rajya Sabha. The term of the newly appointed Rajya Sabha members will begin in January 2018. Chief Minister Kejriwal has reportedly decided only to introduce professionals and outstanding achievers who are not members of his party to the three vacancies. As of now, Rajan has not confirmed whether he will accept the Rajya Sabha seat offered by AAP. Rajan, who was at the helm of affairs of the Reserve Bank of India when Prime Minister Narendra Modi announced demonetization, was interested in a second term but was denied. 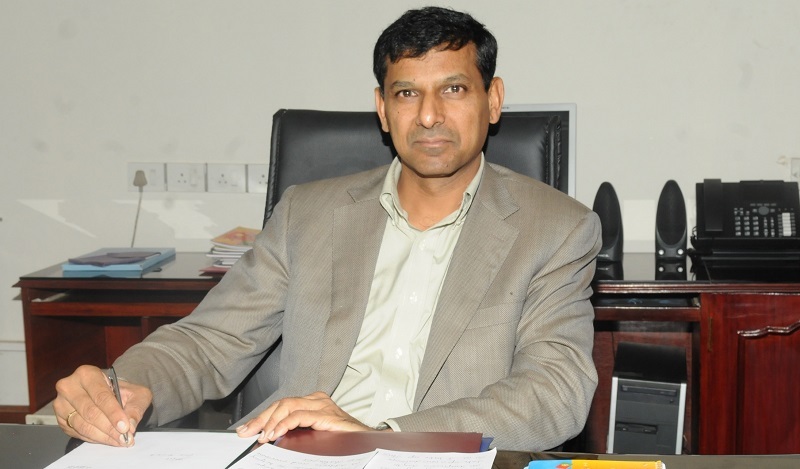 Following the completion of his tenure as RBI Chief, Rajan left for the US to continue teaching at the University of Chicago. The Rajya Sabha seat has many contenders, both inside and outside the party. One of the leaders is Kumar Vishwas who said he is entitled to get one of the seats. “I am human, I also have ambition,” he said in an interview last month to ndtv.com. There is also a hint that if he is denied the Rajya Sabha seat Vishwas could cross over to the BJP, a speculation he has denied in the past. According to a top US magazine, President Donald Trump could announce his new chief of Federal Reserve, and Rajan stands a chance of being chosen for this post. Rajan was appointed as the governor of the Reserve Bank of India by the then United Progressive Alliance (UPA) government when India was facing some serious economic issues in 2013. In a short statement issued on Wednesday, Rajan’s office at the University of Chicago has said that he has no plans of leaving academics. “While Professor Rajan is engaged in a variety of educational activities in India, he has no plans to leave his full-time academic job at the University of Chicago,” read the statement.